Basic Open Water Level 2 will further develop the skills you learned in your Open water class, taking you from a competent diver, to a confident one! 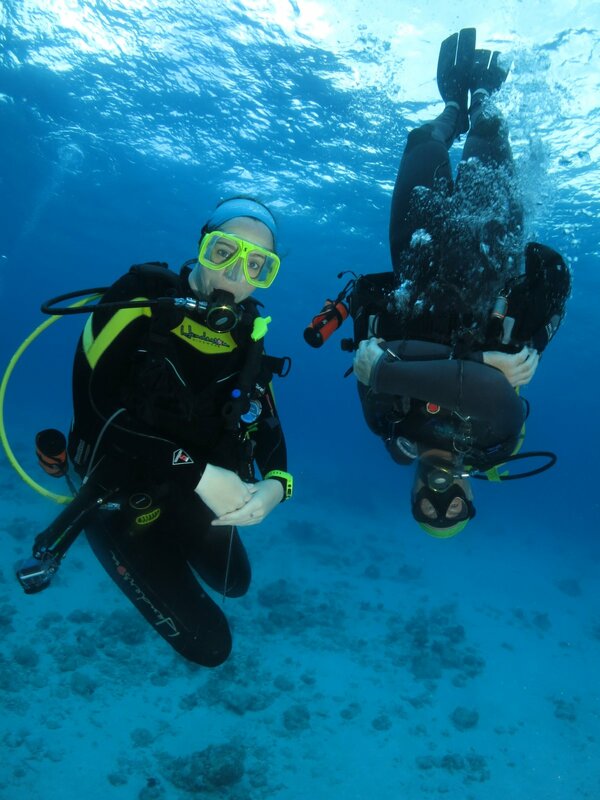 Were you glued to your instructor during your Open Water dives? Did you feel like you were either dragging along the bottom or floating to the surface? Are you curious about the effects of nitrogen narcosis on a deep dive? Then Basic Open Water Level 2 is for you! Our Level 2 certification will teach you how to handle common issues new divers encounter, focusing on your buoyancy, navigation skills and diving a bit deeper. You must be 10 years of age or older and have a PADI or equivalent open water certification. One combined classroom/pool session to review the information you have read in the book on the assigned chapters, practice skills that will be used in the pool, and to discuss the dive logistics for the open water dives. Three open water dives over a 1 day period, including Peak Performance Buoyancy, Deep Dive and a Navigation Dive. Classes are taught monthly. The Basic Open Water Level 2 class costs $100 plus materials (see prices below). Your own equipment, including BCD, regulator, wetsuit, mask, fins, snorkel. (If you do not own your equipment, you may rent it from One World Dive & Travel). Fine tune your diving skills today with the Basic Open Water Level 2 course. Sign up today or call us at 303-220-8282 and begin broadening your skills and capabilities.